Home → News → Huge reptile stomps around Tokyo!!! Huge reptile stomps around Tokyo!!! 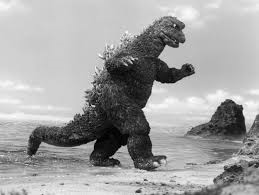 But don’t worry Japan It’s not the return of Godzilla…..it’s just Bon-chan the giant tortoise! 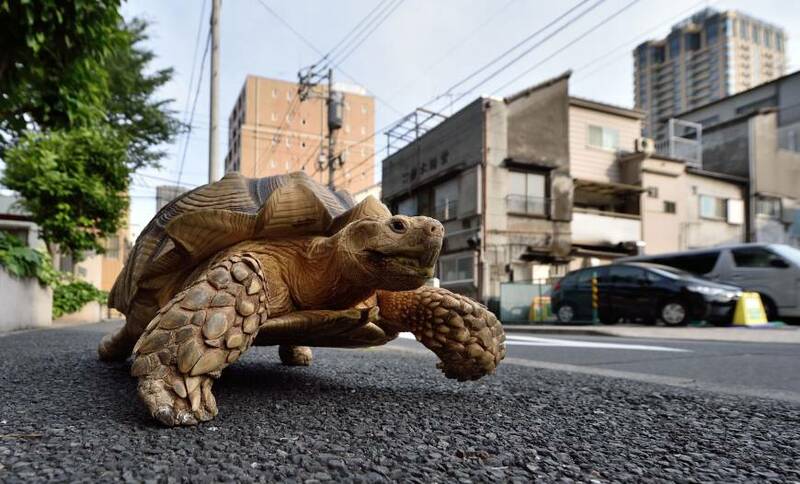 The 70kg (150pound), 19 year old African spurred tortoise is regularly spotted around the town of Tsukishima in Tokyo, being taken on his daily walk by his owner Hisao Mitani (62). Cheering neighbours love to see him as do passers-by, many offering him his favourite fruit and vegetables, he is especially a fan of carrot and cabbage pieces.